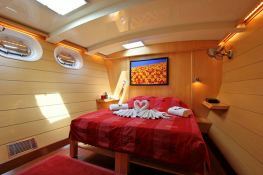 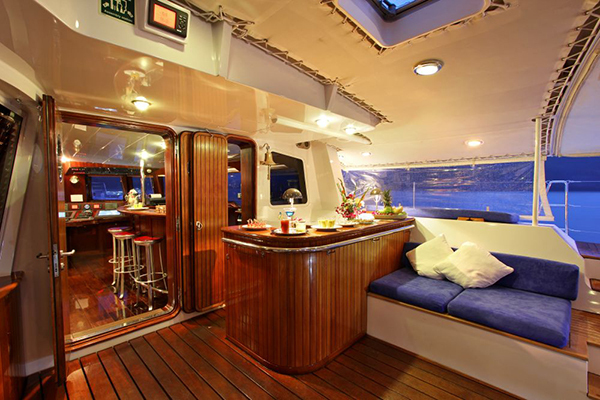 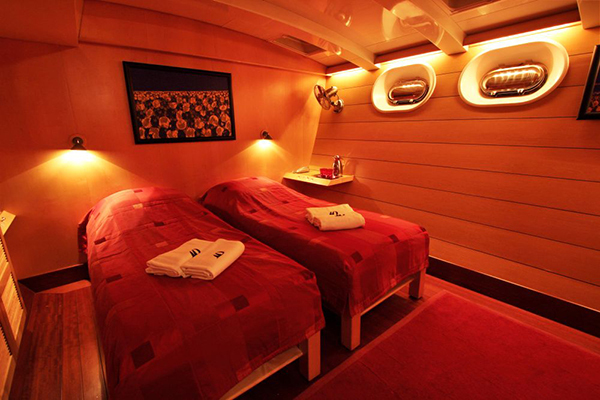 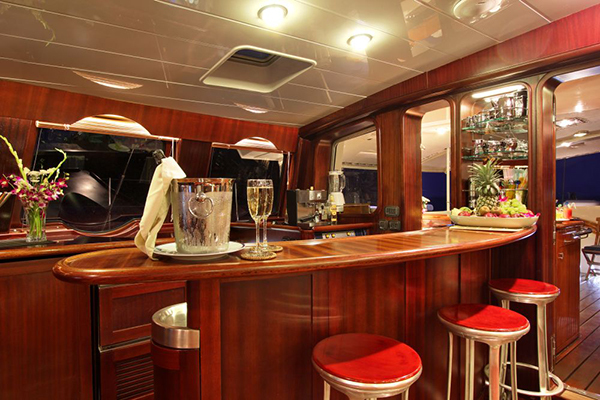 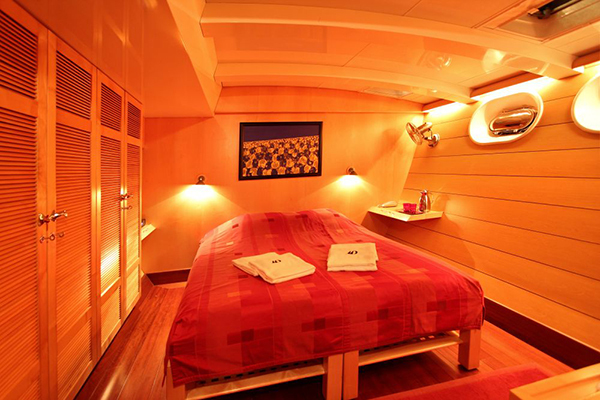 The luxury 42M catamaran Douce France, built in 1998 by Alu Marine, is a superbly comfortable 42.2M yacht catamaran which welcomes up to 12 guests on board with a crew of 7. 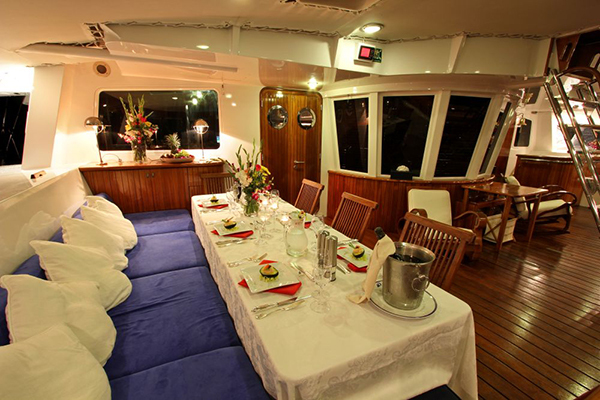 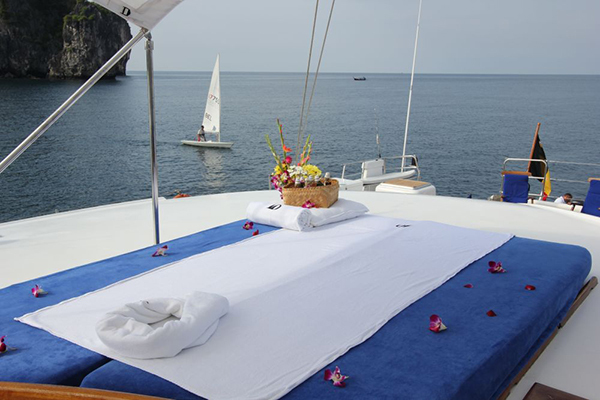 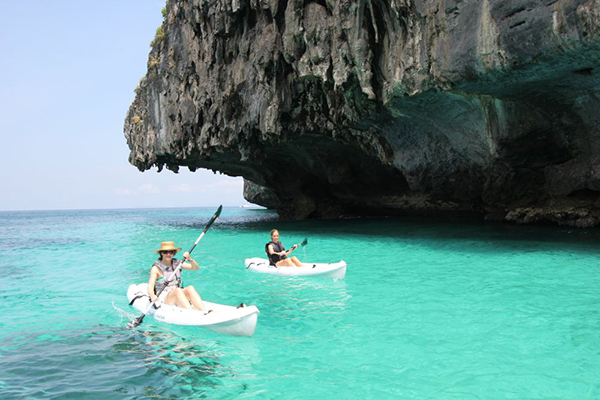 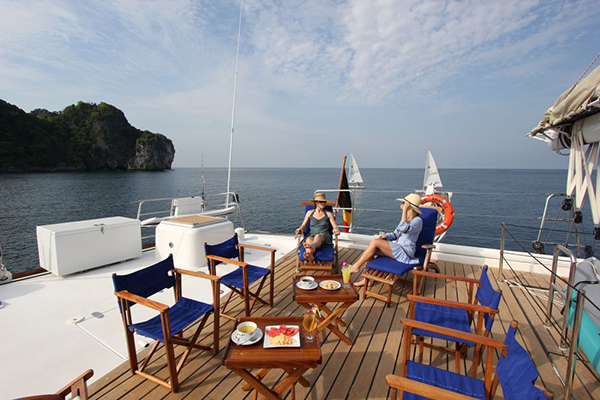 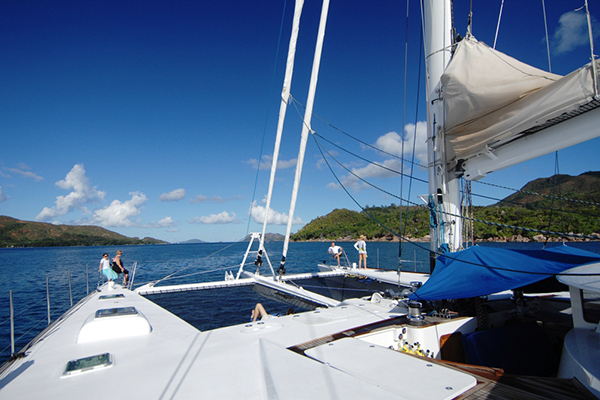 She is available all year round for charters in Indonesia and Thailand and is equipped with air conditioning, BBQ, generator and also fishing equipment, jetski, kayak, sailing gear, scuba gear, wakeboard, waterski, waverunner, DVD and video games for a wonderful luxury catamaran experience. 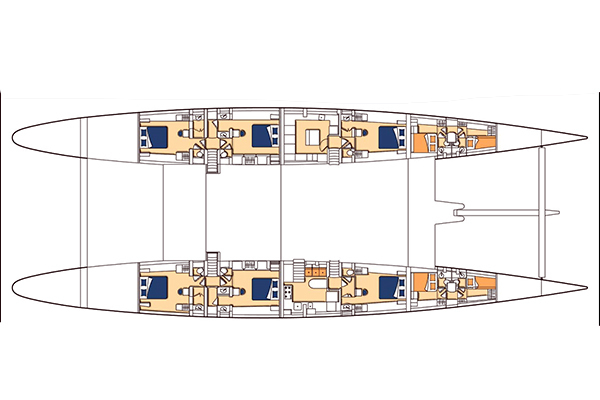 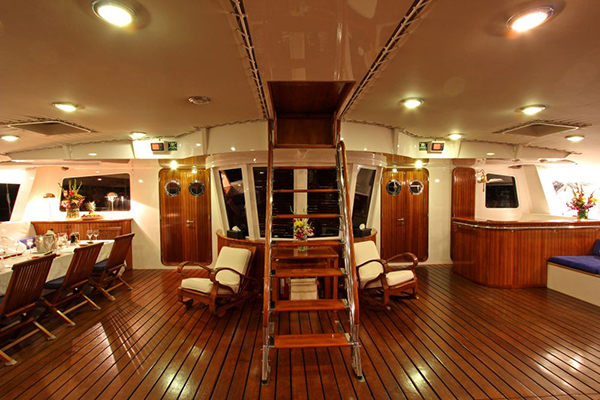 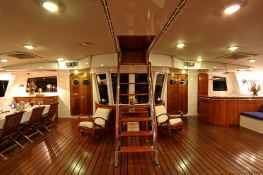 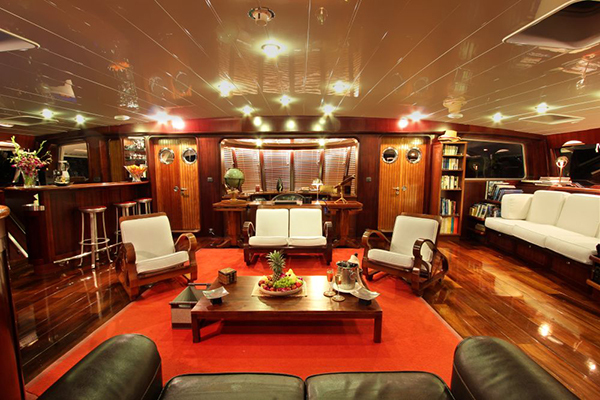 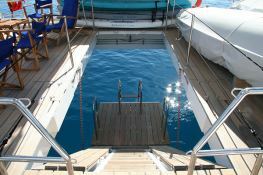 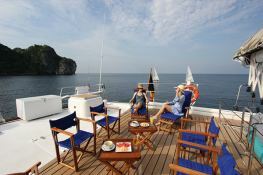 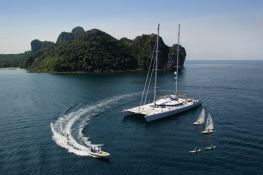 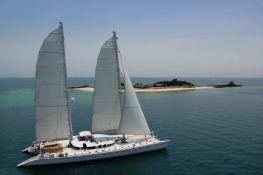 Douce France is available for yacht charter with a base price of 105 000 € (approximatly 118 414 $).